﻿ Chicago Hispanic Newspaper, Lawndale News, Hispanic Bilingual Newspapers, Su Noticiero Bilingue » Clouds of War? April 19, 2019 5:18 pm You are here:Home Commentary Clouds of War? Posted by Editor on September 24, 2015 in Commentary | Comments Off on Clouds of War? As Venezuela keeps its border with Colombia closed in what can only be called a hostile act, Venezuelan President Nicolas Maduro has also sent soldiers to the border between Venezuela and Guyana. I have mentioned before that it was possible that Maduro MIGHT try to start an incident which could lead to war with Guyana. Venezuela has since its late President Hugo Chavez claimed 40 percent of all Guyana has historically belonged to Venezuela. Worse, Venezuela has made threats to take over almost half of Guyana if “provoked.” How on earth can Guyana provoke Venezuela? At present, Guyana has a poor relationship with Venezuela precisely because Venezuela has threatened to invade Guyana. Clearly the Venezuelan military has a decided advantage over Guyana’s. Guyana’s military is purely for defense, and can NEVER threaten Venezuela (based on the size of Guyana’s military and population). With Venezuelan troops now stationed on Guyana’s border, the possibility for war has gone immeasurably up. Guyana’s President David Granger is trying to find a peaceful way out of this. He has called upon the United Nations to try and mediate any disputes Guyana has with Venezuela. Clearly Guyana does not want to start any war with Venezuela. 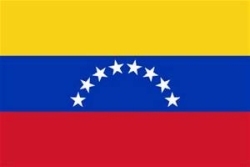 With Venezuela’s economy in trouble, and with Maduro unable to deal with Venezuela’s mounting problems, there is a real danger that Venezuela could start a naked war of aggression against a non-hostile and militarily weak neighbor. For now all that can be done is to watch and hope that more than enough pressure is put upon Venezuela to not take that final step towards war and eventually disaster.